Hello everyone, thank you for taking the time to visit my blog. My location for the Phenology project is located in Centennial Woods, with the center point directly in the middle of Centennial Brook. 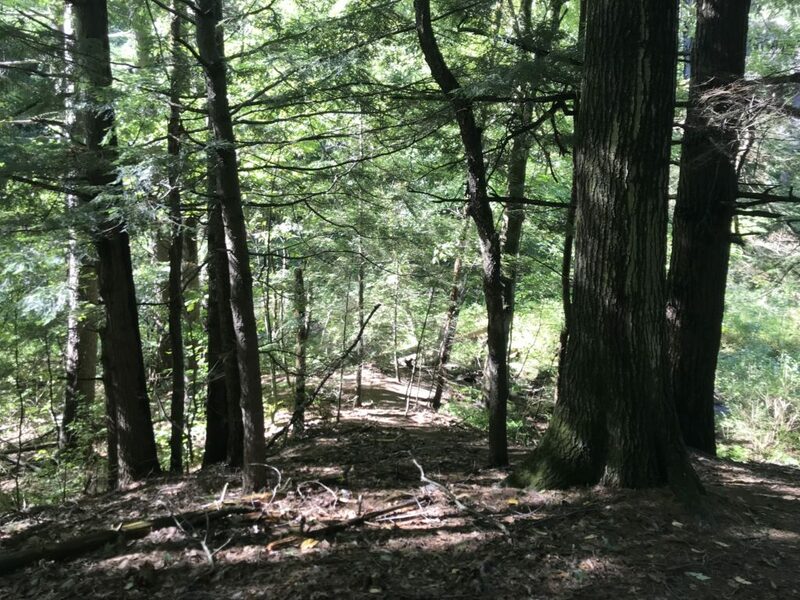 To reach the location, follow the main trail through the woods until the second clearing, where there is an alternate trail immediately on the left. Take this trail until the smaller path on the right and follow that down and over the footbridge until the Brook. 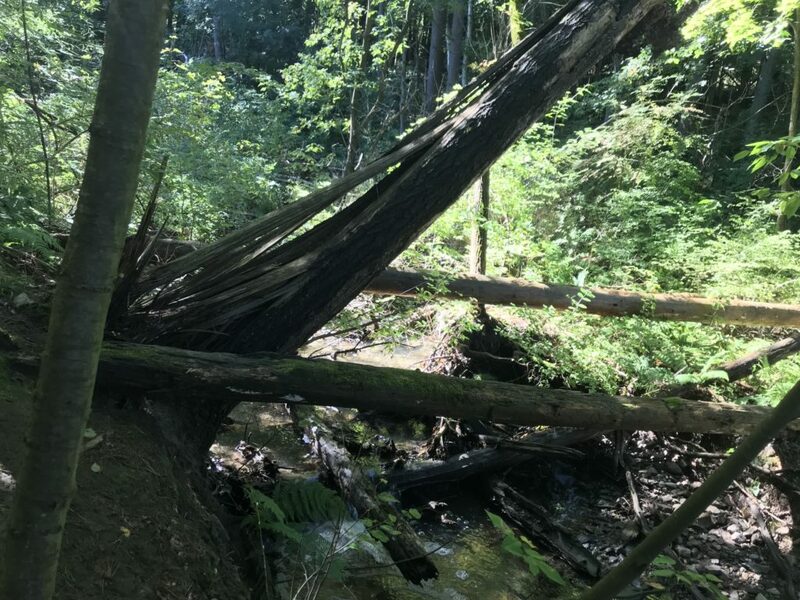 At the Brook, there are 2 downed logs that allow one to cross; the center point for this location is in the center of one of these logs. 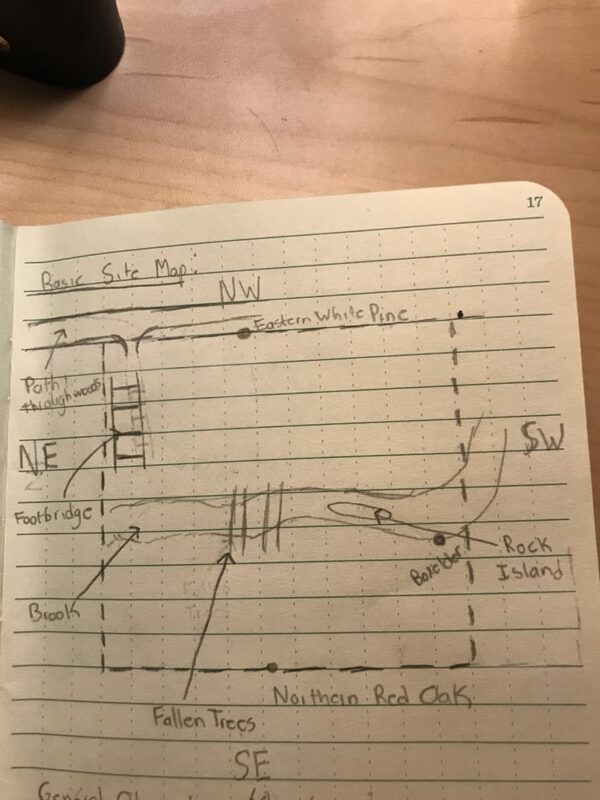 Since the center point is one that is easily identifiable (and therefore memorable), I also chose easily identifiable landmarks to set how far each boundary will run. The extent of the Northwestern boundary is marked by a dominant Eastern White Pine. The N.W. border runs until the footbridge, the Northeastern boundary. After the footbridge ends there is a path that crosses the Brook and then inclines slightly. On this incline there is a dominant Northern Red Oak that serves as a marker for the extent of the Southeastern boundary. This border runs as far a Boxelder Maple on the Southwest border although it is on the opposite side of the brook closer to the N.W. boundary. I chose this location because of my desire to be near running water while still being in a forest ecosystem. Although my main interest is now terrestrial animals, I used to have a passion for marine biology so water ecosystems will always have a special place in my heart, leading to my desire for running water. Additionally, I spent a lot of time exploring forest ecosystems with a brook throughout my childhood so this place is one of familiarity and comfort. Starting at the Boxelder on the S.W. border of the plot, the Brook is coming off a slight bend causing a pool of semi stagnant water to form an enclave next to the Boxelder. In this pool I observed a greater number of Common Water Striders, or Gerris lacustris compared to areas where the water is directly flowing (at least eight observed in the semi-stagnant pool compared to the three observed in spots further down the Brook). Following the flow of the water (towards to N.E.) there is a small island of rocks, causing thinner streams of water to form on either side of the island. After the island ends, the streams merge into one where fallen trees/organic matter/rocks have partially dammed the water, forming a small waterfall. From there the Brook continues as one, with some iteration in flow due to rocks in the water. When travelling from the N.W. boundary in, the initial vegetation is a thick understory with a high prominence of ferns. In the overstory, there are numerous Norway Maples as well as a few Boxleders. Moving inward, the thick understory continues right up until the Brooks edge where fallen trees serve as a natural bridge. On the S.E. 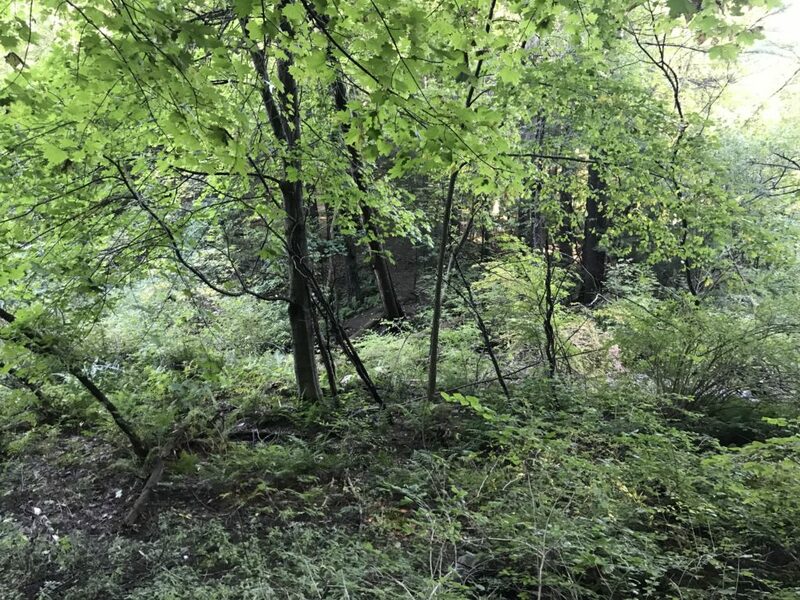 side of the Brook, there is a slight incline in the land where there is a brief continuation of an understory similar to that of the other side.Moving upward on the incline the understory thins, making the overstory dominant as well as exposing the top soil. The overstory on this side of the Brook is much denser than the other side, containing a mix of conifers and hardwoods.